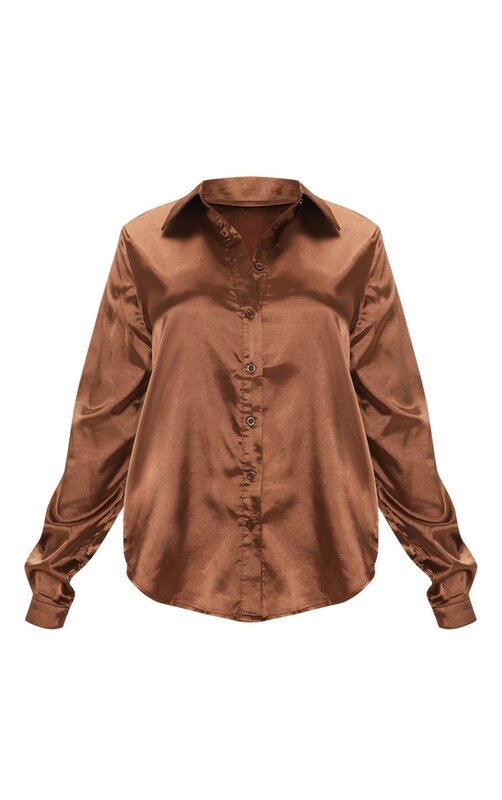 Steal some style points with this long sleeve satin shirt in chocolate brown. What's not to love? 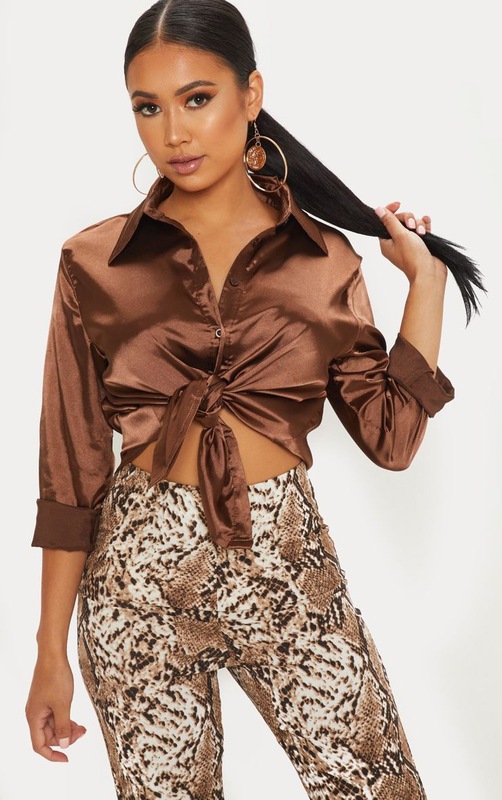 Team with pants and ankle boots for a look we're loving.